I went through a phase where nothing at all would make me sleep. From home remedies involving lavendar sprays on pillows and relaxing teas before bed to prescribed sleeping tablets and meditation techniques from my GP. My mind was just whirring too much and full of thoughts and panics about life, the day just gone and the day to follow. Even the sleeping tablets helped for a couple of days and then just seemed to become ineffective and I ended up back to square one. Slowly my sleeping pattern and the amount of hours I get each night is returning to normal. 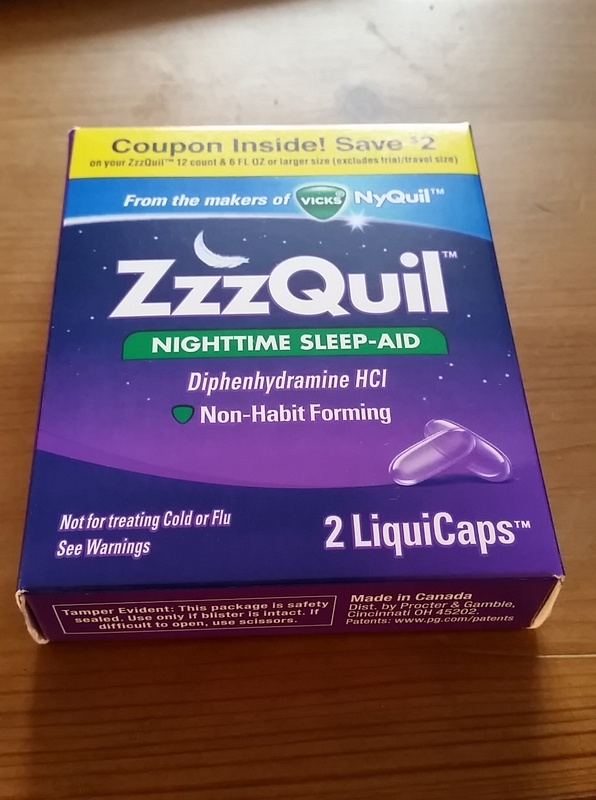 So when I had the chance to get the ZzzQuil Nighttime Sleep Aid Influenster box I was keen to give it a go. But I was disappointed when they actually arrived. The box contains two Liquicaps, which is the recommended dose for one night, and for me that is not enough to find out whether they actually work and then whether my body will become resistant to them after more than a couple of nights. The product itself is from the makers of Vicks and Nyquil, you should not use them to help with a cold or flu and they claim to help reduce the amount of time it takes to fall asleep. With that the question quickly becomes at what point do you take them? They claim to be an aid to solving sleeplessness which suggests they expect you to toss and turn in your bed for a while before resorting to these but then how much do they help compared to you increasingly becoming tired and weary anyway? This entry was posted in Beauty, Health and tagged box, evening, Health, influenster, lblog, lblogger, lbloggers, life, Lifestyle, lifestyle blog, lifestyle blogger, lifestyle bloggers, Mental Health, night, nighttime, opinion, package, Physical Health, post, posting, product, product review, review, sample, sleep, sleeping, thoughts, tired, trial, zzzquil. Bookmark the permalink.